Will Fitz get a pet helper monkey? 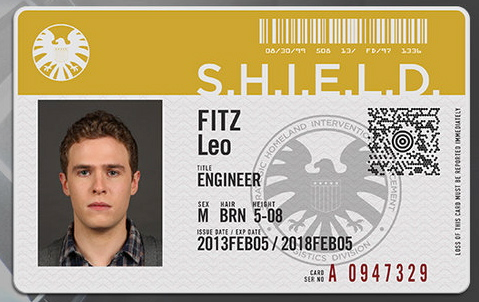 Leo Fitz is one of the super science geniuses brought into Coulson's team. Fitz develops much of the teams weapons in particular their firearms that paralyze the teams foes he calls these guns "icers." Fitz develops a close relationship with Ward when the two are sent on a suicide mission. He is in disbelief when Ward turns out to be a Hydra double agent. While Fitz clearly has feeling for Simmons he does not reveal anything until they both are trapped under the ocean facing certain sense at season end finale. The season ends with Fitz dangerously foregoing oxygen to get Simmons to the surface safely. Fitz survives but is unclear how the lack of oxygen effected his mental capacity.